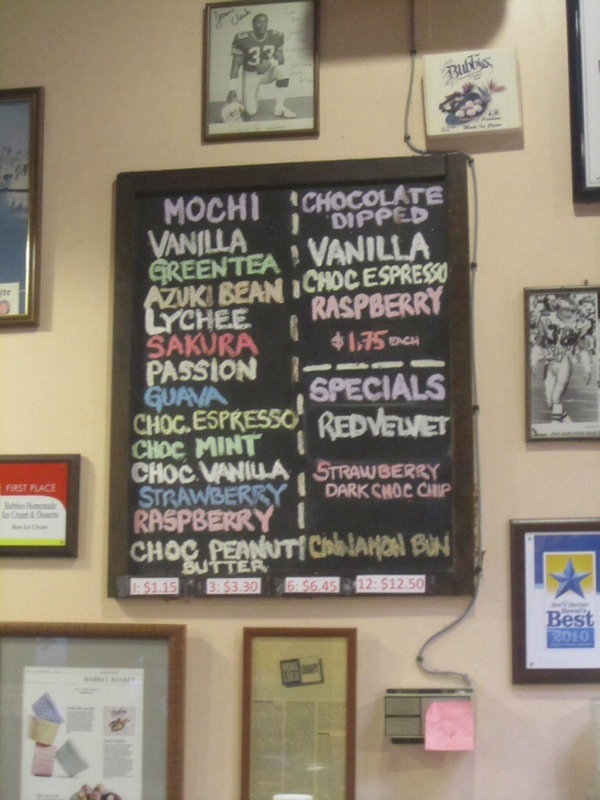 I had my heart set on Bubbie’s mochi ice cream after dinner at Alan Wong’s. 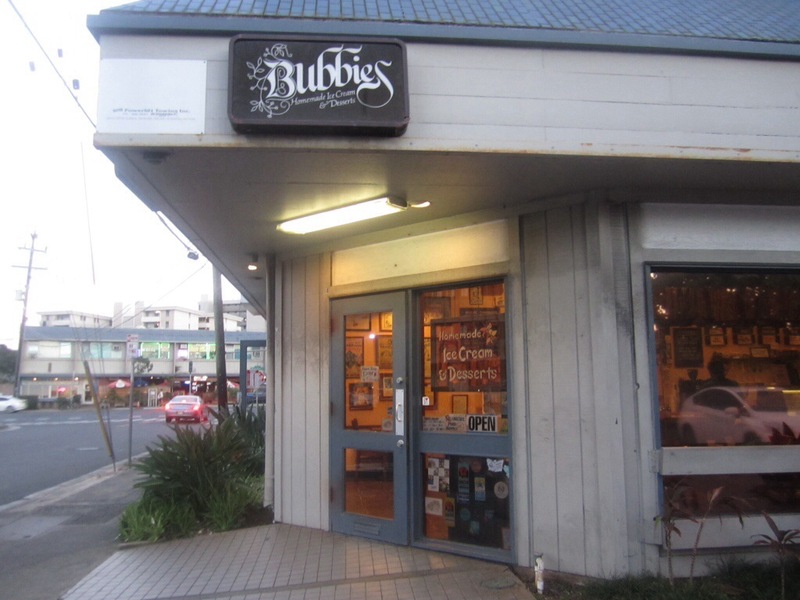 This quirky little ice cream parlor is tucked away behind University Ave. in Moiliili and is a popular after-dinner stop for families, couples on dates, and of course students from nearby UH. 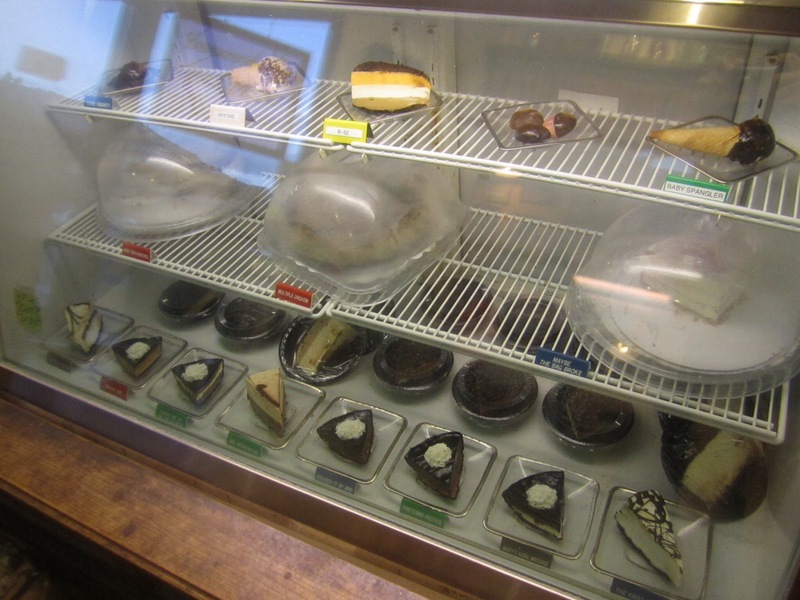 There are also a variety of ice cream cakes and pies by the slice in the display case. D enjoying his amaretto & chocolate chip ice cream cone. 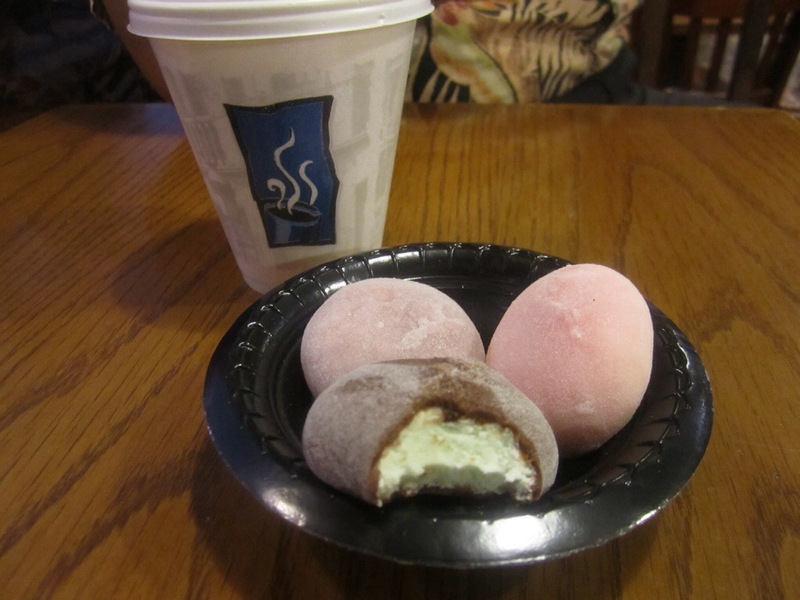 And my decaf coffee and 3pc mochi ice cream: chocolate mint, azuki bean, sakura (cherry blossom) flavors. What does sakura taste like? A hint of cherry and almond liqueurs. 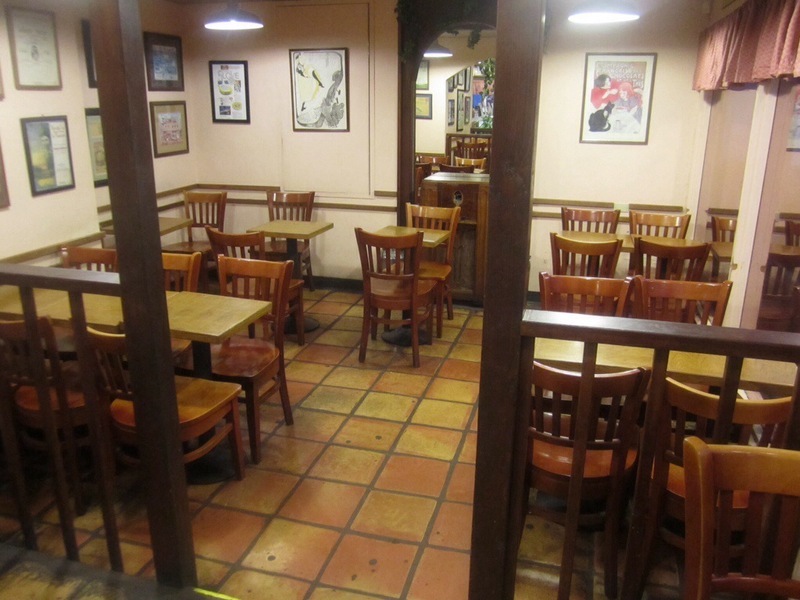 They have a small eat-in area in the back, still exactly the same from when I was a UH student. 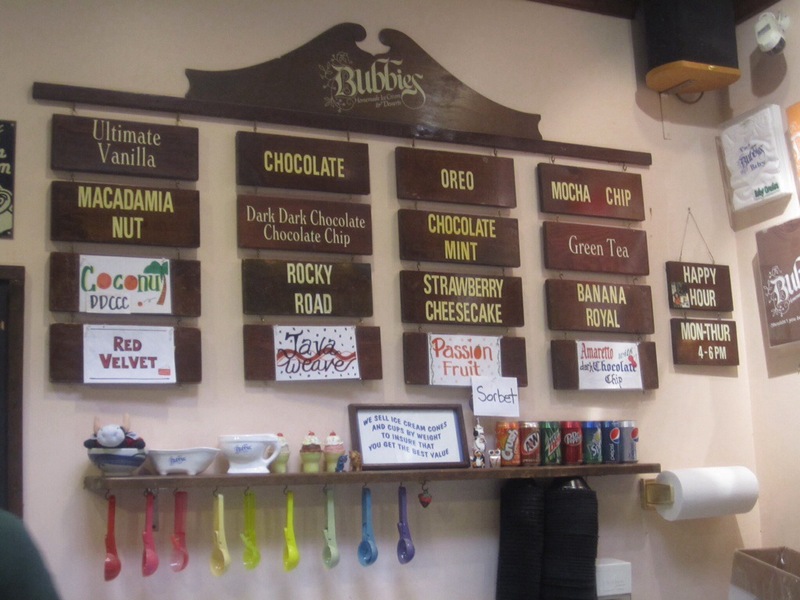 What I’ve come to love about the ice cream at Bubbie’s is that it’s colder, denser, and harder than any other ice cream shop. 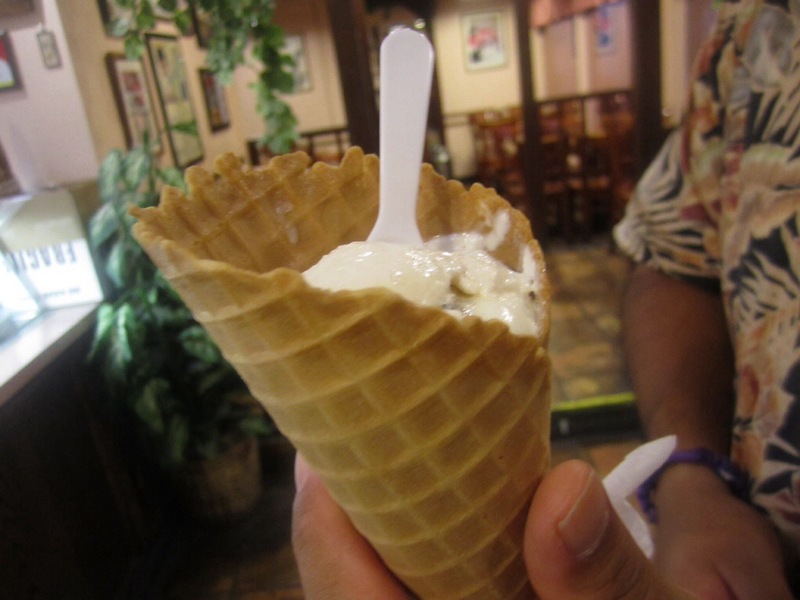 At first I didn’t care for ice cream so dense that it broke my plastic spoon, but over the years I’ve come to love it. You’re forced to slow down and savor each bite and the taste changes as it warms up. Plus it’s not whipped with air so it’s that much creamier, more satisfying. 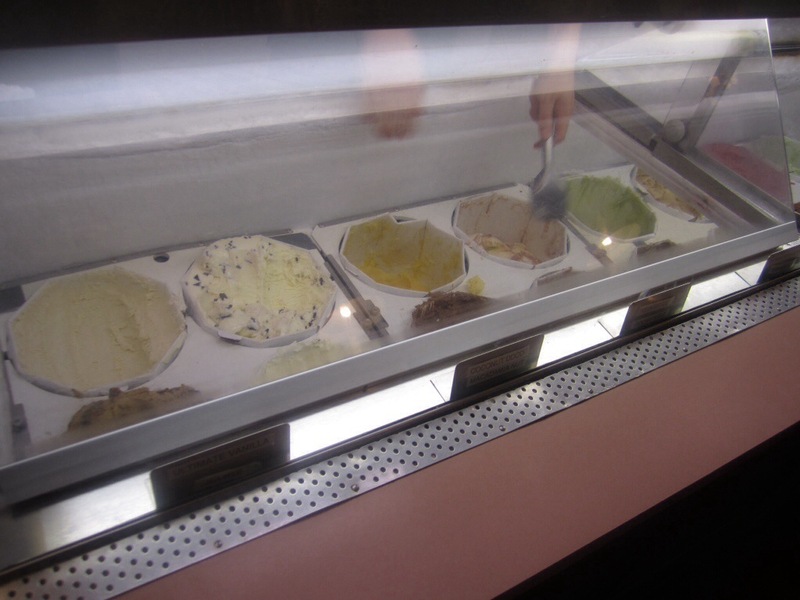 The mochi ice cream is hard at first, but by the third or fourth bite the mochi begins to stick to your fingers… I think every local girl (and guy) experiences the occasional mochi ice cream craving. Such a treat!